Sara Equipment is Manufacturer, Supplier, Wholesaler, Trader, Seller and Exporter of good Quality with low-cost Pad Destroying Machine. Our SARA product is lightweight and can be fixed on the wall with easy installation for the convenient use of the Toilets. Our organisation is one of the famous organisations in offering Napkin Destroyer Machine which possesses Best Quality in addition to Cheap Cost to our customers. Some of the remarkable characteristics of our range are wall mountable, eco-friendly and wonderful appearance. It is free from all types of flaws. Our Machines available in all kind of model. In addition to our SARA Napkin Incinerator manufacturing process under the guidance of UNICEF. 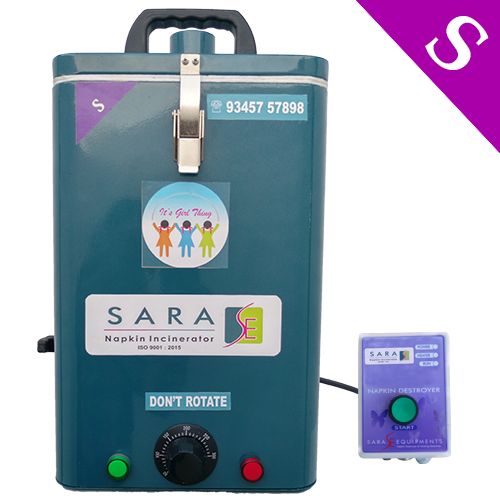 SARA is an automatic Pad Destroying Machine made up of high Quality raw material but cheap cost. It is the right way to solve your sanitary napkin disposing problems wherein the used napkins are converted into a sterile ash. You not only get instant disposal of used napkins but also disposal in a scientifically proven hygienic way. 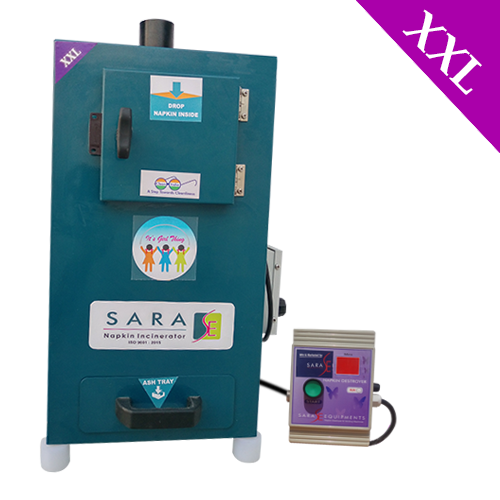 SARA is an automatic Sanitary Pad Burning Machine made up of high-Quality raw material but cheap cost. It is the right way to solve your sanitary napkin disposing problems wherein the used napkins are converted into a sterile ash. You not only get instant disposal of used napkins but also disposal in a scientifically proven hygienic way. 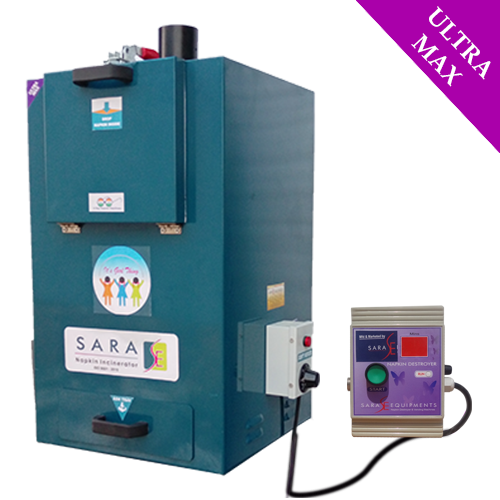 “Sara Equipments” manufactures Sanitary Napkin Incinerator Machine, Sanitary Napkin Destroyer Machine, Sanitary Napkin Burning Machine, and Automatic Sanitary Pad Burning Incinerator Machine. The range starts from 40 pcs per day to 1200 Pcs per day. 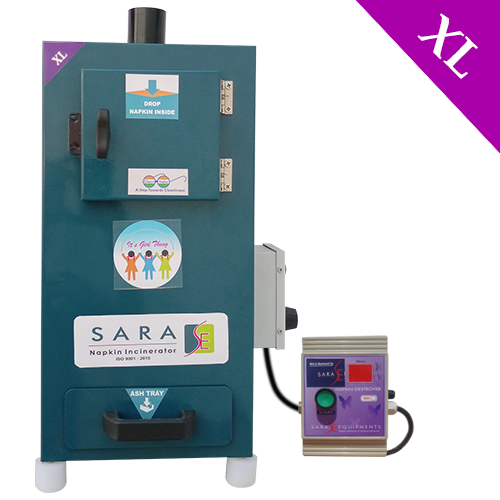 Above all Our Sara Napkin Incinerator Machine is fabricated under the Tamilnadu PCB Norms. Note: Above mentioned price is the starting model price of the product; prices may vary according to the size and number of machines. Looking for “Pad Destroying Machines”?